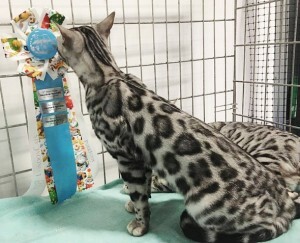 IW SGCH Silverstorm Ottos Legacy of Capstone is an International winner! I would like to thank Cathy also for showing this boy so well and giving him such a loving home to enable him to reach his full potential. He has been attending quite afew shows in China lately with his owner Rongly Li, and has been doing really very well. What a handsome boy he is, just like his father Otto and grandfather Regional winner and Supreme Grand-champion Silverstorm The Maharajas Cat. His extremely laid back temperamant no doubt helps, as you can see sitting up to eat is just too much effort! Meet my F5 Silver boy! This little boy is one of my spring kittens. 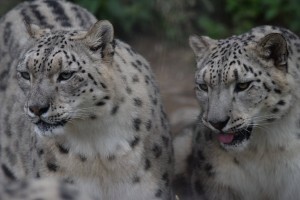 He is a silver F5, which means he is 5 generations away from an Asian Leopard Cat. 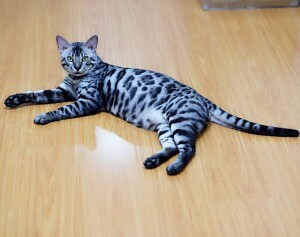 The name of this particular Asian Leopard cat is ‘New Horizons Leopole’. I think he is absolutely beautiful, and of the palest silver colour which is just breathtaking. I don’t think i will be able to let him go. 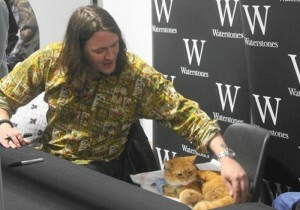 Watch this space for updates on him! I am so glad that i kept this beautiful daughter from Rajah. Taking after her father she has wondeful wild type and muscular structure, and those eyes! Those fiery tigers eyes just glow from out of her monotone silver shades. Simply stunning.